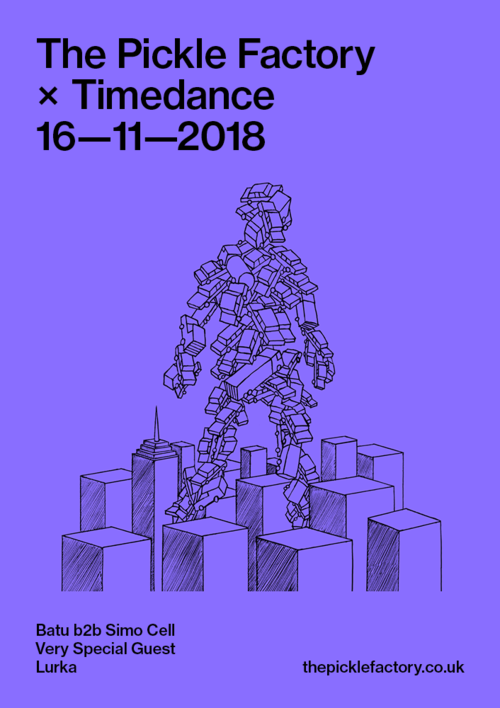 Timedance, the pioneering Bristol label that is shaping a new UK techno sound, returns to The Pickle Factory for a label showcase on 16th November with its strongest lineup to date. Timedance boss Batu headlines, after a revelatory year that's included gigs at Freerotation, Labyrinth and Rural Festival. We predict big things for the young Bristolian. He plays an extended b2b with truly special French techno talent, Simo Cell, who makes a long overdue Pickle Factory debut. Support comes from label artist, and the man behind TIMEDANCE015, Lurka.